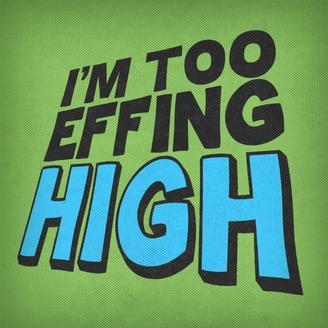 Part talk show and part game show, “I’m Too Effing High” is a half hearted attempt to find out if people are funnier when they’re high. Using the language of comedy in an effort to normalize cannabis, host James Mastraieni guides a panel of stoned comedians through a series of comedy challenges, games, and performances, testing their comedic creativity while being too effing high. More unpredictable than a 100mg edible, this is the funniest show you’ll never remember. 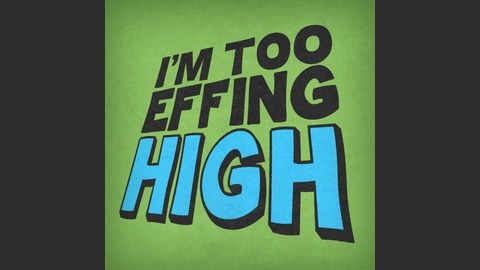 “I’m Too Effing High” is written and produced by James Mastreani, Mike McLendon, Matt Newell, Dhruv Uday Singh, and Andrew Steven. Special thanks to Katie Dill, Devin Field, Shaun Fisher, Santina Muha, Emily Ann Plizak, and Ruha Taslimi.